MOSCOW (Reuters) -- Volkswagen's Spanish subsidiary, Seat, will stop selling cars in Russia by early next year because of the country's economic downturn and weakening ruble. Car sales have fallen sharply as Russia's struggles because of Western sanctions over Moscow's role in the crisis in Ukraine and a drop in the oil price. "The Seat brand is stopping sales of new cars in Russia from Jan. 1, 2015, due to the contraction of sectors in which it is represented, the general economic situation in Russia and currency rate fluctuations," a spokesman for VW's Russian operations said on Tuesday. Russian new-car sales were down 10 percent year-on-year in October and 13 percent in the first 10 months as the ruble's decline and worries about the economy forced consumers to delay making large purchases. 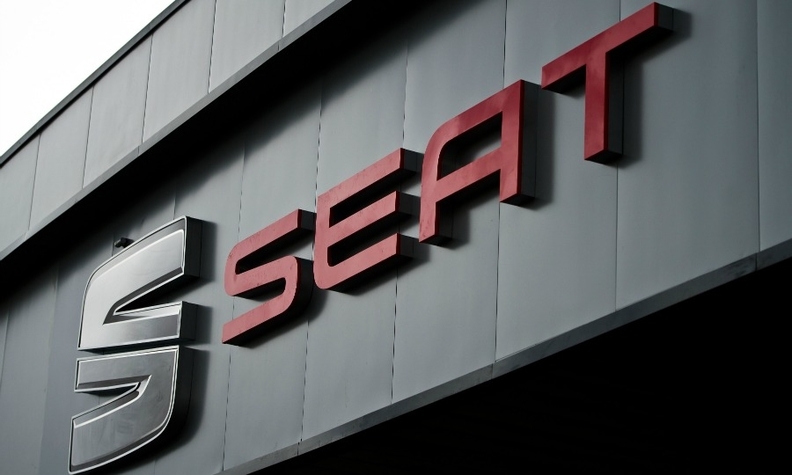 Seat sales halved last month to just 78 units, while its 10-month sales were down 57 percent at 1,324, according to data from the Association of European Businesses lobby group. In 2013, Seat sold 3,375 cars in Russia, despite a forecast by VW Group in 2012 that the brand would achieve sales of 5,000 to 20,000 cars a year. Seat outlined its plans for Russia at the 2012 Moscow auto show. At the time, then-chairman James Muir said: "We see great potential for Seat in markets like Russia. Great design, high quality, outstanding engineering and innovative technology bring something new and fresh to the dynamic Russian automotive market."